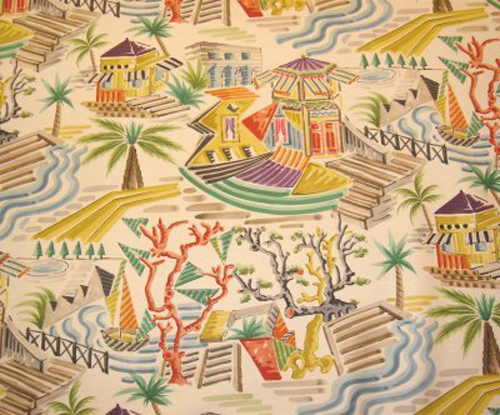 I completely fell in love with this fabric, Mougins by Clarence House, when I spotted it on the CH website a few weeks ago. Aren't the colors superb? I believe the fabric is much closer to a white background than this image, but either way, I think it's wonderful! And, the best part is that I found an eBay listing for it - 8 yards for $295, which is a great deal. Lucky you if you're interested - sadly, I have to walk away. If you buy it, please tell me how you'll use it!